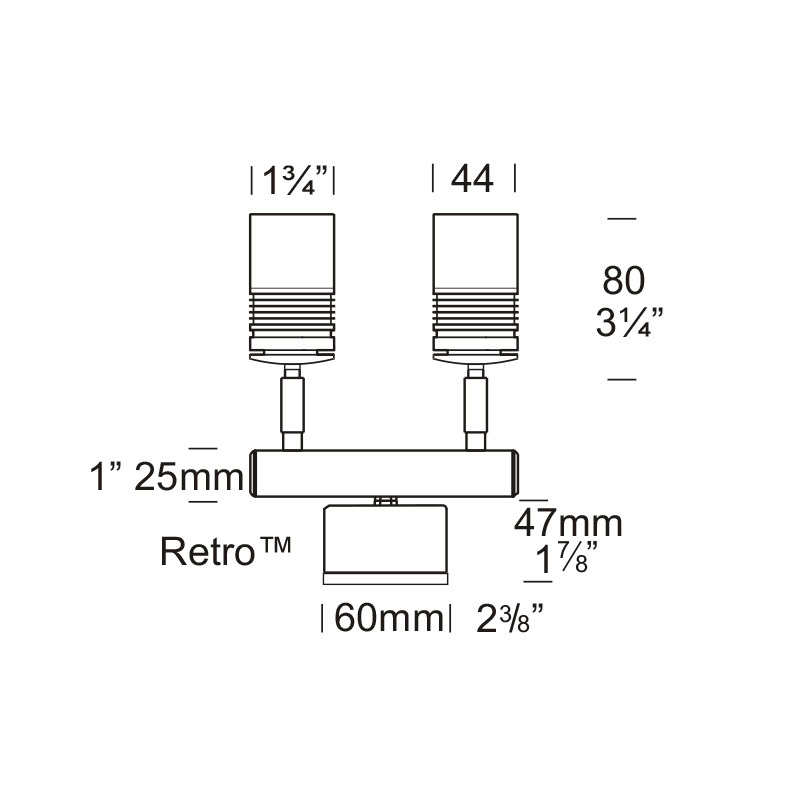 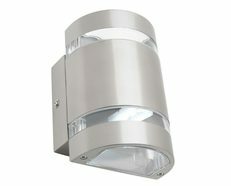 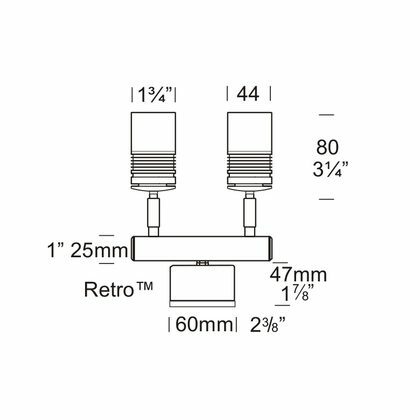 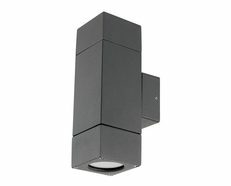 The Euro Twin Wall Spot is a wall-mounted luminaire with two fully adjustable heads, each allowing 360 degree rotation and 090 degree elevation. 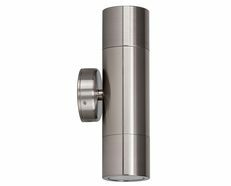 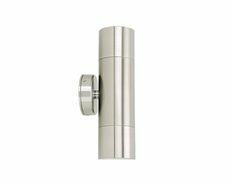 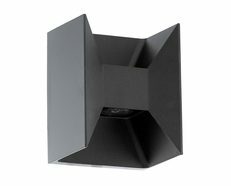 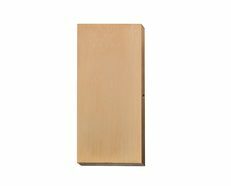 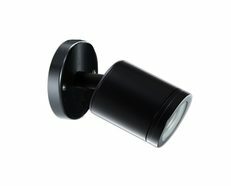 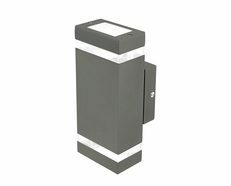 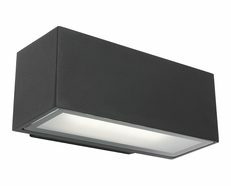 HUNZA Euro fixtures use a miniature MR11 lamp to achieve a contemporary, discreet appearance but are still able to provide excellent illumination. 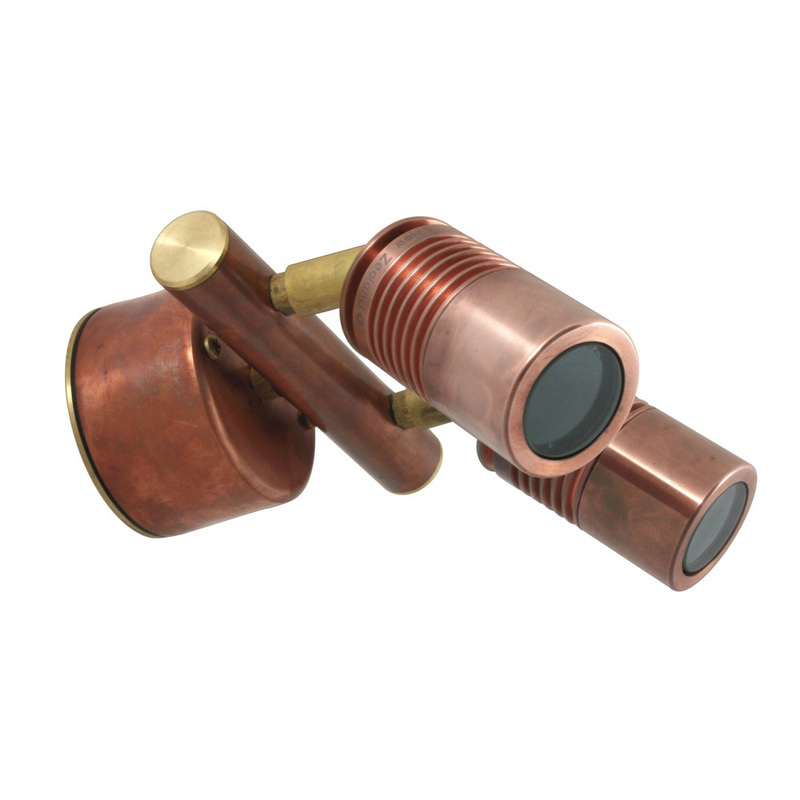 Machined from 45mm (1¾) solid copper or 316 stainless steel, with a clear, tempered, glass lens, high temperature silicon gaskets and integral hex cell louvre.